For over 30 years promoters of green energy have proclaimed the hydrogen economy is around the corner. Now this could finally become true. While some energy experts claim that hydrogen from renewable energy is prohibitively expensive, companies like ITM in the UK are proving in the market that this technology is already competitive. They produce hydrogen for use in cars and in the form of power-to-gas to be used in the gas network. Energy journalist and author David Thorpe has the exciting story. Ever thought what will happen to the UK’s gas network when the UK moves towards its target of reducing greenhouse gas emissions by 80 per cent of 1990 values by 2050? Consultants KPMG’s report 2050 Energy Scenarios– The UK Gas Networks role in a 2050 whole energy system. A UK-wide conversion of the grid to hydrogen gas could, it’s claimed by H21, reduce greenhouse gas emissions associated with domestic heating and cooking – currently over 30 per cent of the UK’s total emissions – by a minimum of 73 per cent, as well as supporting decarbonisation of transport and local electricity generation. However, over 90 per cent of today’s hydrogen is mainly produced by a process called steam reforming, which uses fossil fuels – natural gas, oil or coal – as a source of the hydrogen. Hydrogen produced from gas this way is two to three times the cost of the original fuel. Its global warming potential is 13.7kg CO2-e per kg of hydrogen produced. Coal gasification, another major production method, delivers even worse emission levels. To fully obtain the benefits of using hydrogen, we must therefore either produce it from renewable energy – or capture and store somewhere the carbon dioxide removed during steam reforming – a process called carbon capture and storage. H21 and all the other reports are proposing the latter. However, ever since CCS was first proposed over 15 years ago the economic and technical case has not been made. Moreover the government has cancelled its £1 billion support programme for the technology. CCS has always seemed to me a get-out-of-jail card to permit business as usual in terms of fossil fuels and energy use while seeming to tackle climate change. using steam reforming of methane but instead of storing the carbon underground, using it as a feedstock in other industrial processes. This is called Carbon Storage and Utilisation (CCU). None of the reports above mention it. Carbon dioxide is valuable as a feedstock in many ways: for fuels, chemistry, foods like fizzy drinks and polymers – even used as a component in a replacement for concrete. So why not make use of it? “CCS is basically a non-profit technology, where every step is costly. CCU however has the potential to produce value-added products that have a market and can generate a profit.” says Dr Lothar Mennicken, German Federal Ministry of Education and Research. So that could take care of some of the problem. But to solve the rest we can turn to renewables – and solve another problem along the way – the intermittency of wind and solar. 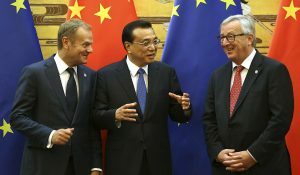 The reports cited above dismiss producing hydrogen by electrolysis using renewables as too expensive. But it’s not. 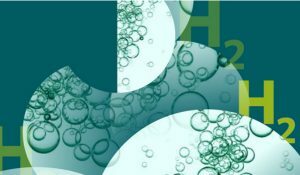 The most recent British source for the cost of producing hydrogen using this method is an apparently reliable one: the Energy Institute of University College London, who produced a report in April last year authored by Samuel L. Weeks about using hydrogen as a fuel source in internal combustion engines. This states: “hydrogen produced by electrolysis of water is extremely expensive, around $1500/kWh”. The editor of The Ecologist magazine, Oliver Tickell, observes that it struck him as being way too expensive. Professor Weeks and the UCL Energy Institute were unable to give me the source for the $1500 figure. So I turned to a company which is already making hydrogen from renewable electricity for grid balancing and fuel cell powered cars: ITM Power. They provided me with another professor, Marcus Newborough, who is their Development Director. He gave me a much lower figure. Indeed it does. It is 4,545 times larger, if we are comparing like with like. And I’m still mighty curious as to why UCL Energy Institute got it so wrong. Not only is ITM using the gas for hydrogen car filling stations, a chain of which it is opening in the UK (on a full tank of hydrogen a fuel cell car can drive up to 300 miles), it is also using it to inject into the grid. 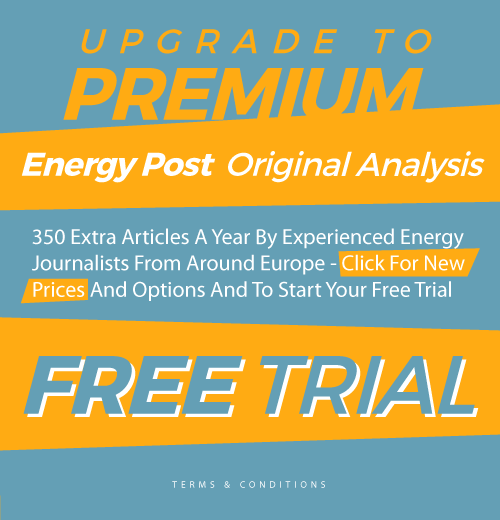 The process is called power-to-gas (P2G) and it is useful when too much renewable electricity is being produced compared to the demand which exists at that moment. Instead of it going to waste it could be used to produce hydrogen as a form of energy storage and used when required. to be scaled up in number or capacity as we head towards a much more renewable electricity system. ITM has a pilot P2G system operational in Frankfurt with 12 other companies that together form the Thüga group. At the end of 2013, this plant injected hydrogen for the first time into the Frankfurt gas distribution network. It therefore became the first plant to inject electrolytic generated hydrogen into the German gas distribution network, and possibly anywhere in the world. Final acceptance of the plant was achieved at the end of March 2014. Overall efficiency is said to be over 70% and the plant is now participating in Germany’s secondary control (grid balancing) market. The conditions for being allowed to do this are extremely stringent. Systems have to respond in under one second when they receive a command to increase to maximum power or decrease to zero power to demonstrate that they are suitable for frequency regulation. The energy is discharged as hydrogen and should be available for as long as required. The Frankfurt system has been shown to do this and can react to variable loads in the network. Work is ongoing to see how the plant can be integrated into an increasingly intelligent future energy system. “For the duration of the demonstration, we want to integrate the plant so that it actively contributes to compensating for the differences between renewable energy generation and power consumption,” says Michael Riechel, the CEO of Thüga Aktiengesellschaft. Professor Newborough told me that the payment structures for providing such services have yet to emerge. 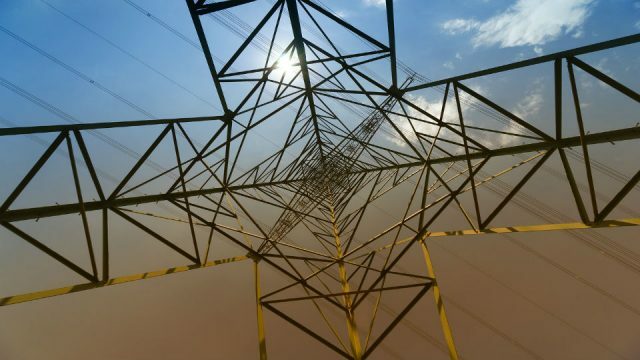 In the UK, the National Grid is introducing an Enhanced Frequency Response service to pay energy storage technology operators to provide sub-second response. “ITM has already pre-qualified to provide such a service,” he says. They are also introducing a Demand Turn Up service which will pay operators £60/MWh for operating overnight and on summer afternoons to absorb excess wind and solar power. A report on energy storage undertaken by McKinsey and Co last year found that using variable renewable electricity this way could use nearly all excess renewable energy in a scenario in the future in which there was a high installed capacity of renewable electricity generation. Reusing this stored energy in the gas grid, for transport or in industry it said, would provide a valuable contribution to decarbonising these sectors. 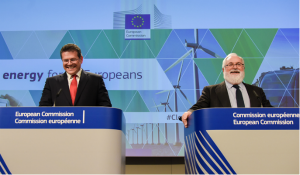 The European potential, in 2050, of this value would be “in the hundreds of gigawatts”. 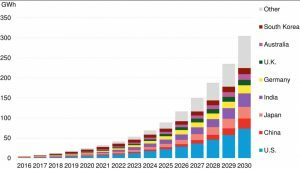 This future scenario, in which countries are reliant for much of the electricity on renewables, is likely to be common. The McKinsey report contrasts the use of hydrogen with the use of batteries, which it calls power-to-power or P2P because its electricity rather than gas which comes out. 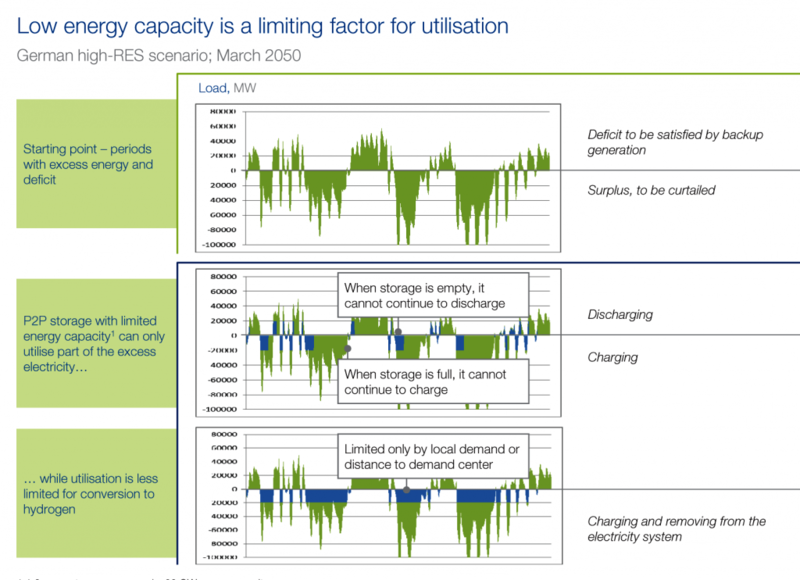 caption: How low energy storage capacity is a limiting factor for the use of batteries. Nevertheless the McKinsey report warns that current regulations lag behind the potential of these technologies. Reviewing them is the key to unlocking this enormous opportunity, something for governments and regulators to look at. So it now seems that the most likely route to creating the hydrogen that goes into our gas grids could be from electrolysis using renewables after all. Yet, like many cutting-edge low carbon technologies, it’s early days. The Germans are pioneering this method as part of their transition strategy. It’s one part of the picture. For over 30 years the prophets of green energy have been promoting the idea that the ‘hydrogen age’ is just around the corner. The gas is abundant in the form of water, molecules of which possess two hydrogen atoms for every oxygen atom. Making it from water using electrolysis releases only oxygen and no pollutants. It can then be burnt in any suitable boiler, cooker or vehicle and used in fuel cells. All we have to do is get it to the right place at the right time at the right price. The problem has always been the right price, that provides the market incentive for investment in the necessary infrastructure. Perhaps that time is almost here. With the UK Met office saying that we have already reached 1.38°C temperature rise since the beginning of the industrial revolution and the Paris Agreement aspiring to keeping that rise to 1.5°C the task of mainstreaming these technologies becomes even more urgent. The Germans seem to be most advanced with their many P2G developments and ~20 (MW-scale) pilots. 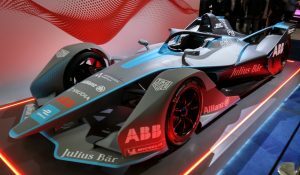 They target to have 1GW P2G at 2022. Dena*) has a nice Power-to-Gas site which shows the many German (pilot) developments (little research). Next year NL will also get a first 8MW P2G plant which will produce gas for a chemical plant (in the north, many wind turbines in the area). The P2G plants are usually unmanned housed in a few standard sea containers. It delivers the option to situate plants at petrol stations for the refueling of hydro cars such as the Toyota Mirai, etc. Thus avoiding an hydro distribution system. *) Dena (= German energy agency) was established in 2000, when the Germans decided for their Energiewende (all nuclear out asap, 80% renewable electricity in 2050, etc). The institute is a competence center for energy efficiency, renewable and smart energy.